Please help us to thank the businesses that support U.S. independent cattle producers! These businesses want your business and they support R-CALF USA! 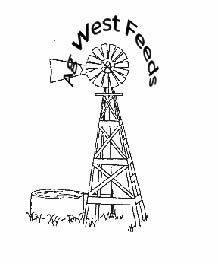 WHAT IS AG-WEST-FEEDS INC? In 1970, Vince Hulinsky started Ag-West Feeds. Vince grew up in a ranching area where he developed a good ranching background. After losing 30% of his calves to scours one spring, he decided to find out why. Vince started his herd out of his Dad’s. His Dad didn’t have a scour problem. The only difference in their cows and feeding program was Vince’s Dad was feeding a high quality mineral program. Vince started to study nutrition, and went to doing his own nutritional work, using his own formulations. He did and still does this, using the cows to tell him their needs, not some book value or N.R.C. requirements “that should” work. Vince used these values, not being tied to the Multi-National companies and their ways. Working with you ranchers and your cows, he was able to develop top quality mineral programs to fit the cows nutritional needs. Solving sickness problems, not using drugs, but developing the cows own nutritionally healthy immune system. At the same time increasing gains, savings of 20 percent of the roughage, and or 20 percent more beef producer off of the same ranch. As a result of these efforts, Ag-West-Feeds was born and REMAINS an independent company owned and operated by Vince Hulinsky. Vince asks you to please stop at our booth at the South Dakota Stockgrowers Convention. Come say Hi, Pick up a literature book, “WHICH IS OUR SALES FORCE.” We do not have salesmen to call on you, we hope you can understand our program by reading our literature books. Ag-West-feeds is a proud supporter of the South Dakota Stockgrowers, R-Calf, Independent Cattlemen of Ne. and others. For five decades, Tri-State Livestock News has established a strong reputation as a leading publication within the livestock industry. Much of Tri-State Livestock News’ growth and success is due to the long-term support from livestock producers and ag businesses in South Dakota, Wyoming, Montana, Nebraska, North Dakota, Minnesota, Iowa, Colorado and Kansas. Published every Saturday, Tri-State Livestock News is the commercial cattlemen’s publication, located in the heart of one of the greatest beef producing regions in the world. We look forward to serving the needs of livestock producers with timely editorials and advertisers who serve the livestock industry. The Farmer & Rancher Exchange’s first issue was published in the spring of 1981, making 2016 our 35th Anniversary. Originally a publication that was mailed to 12,000 rural route households, Farmer & Rancher Exchange now has a circulation of 15,000 with the bulk of our distribution centering in South Dakota, Nebraska, Wyoming, North Dakota and Montana. Many of the businesses that began advertising in 1981 continue to advertise with us today. We are proud to maintain such strong relationships with businesses within the agricultural community. The Farmer & Rancher Exchange is the largest weekly advertising publication distributed free in the upper Midwest region. It is the only weekly agricultural publication that is 100 percent advertising. It is truly the “buy and sell bible” for a seven-state area. Hundreds of businesses advertise in Farmer & Rancher Exchange including livestock markets, vehicle dealers, farm machinery and equipment dealers, antique dealers, realtors, auctioneers, seed, feed retail, grocery and building material businesses. In the spring of each year, hundreds of registered livestock producers promote their livestock production and/or private treaty sales. These businesses advertise in Farmer & Rancher Exchange because it offers a vast potential customer based with the largest geographical coverage of any South Dakota based agricultural publication. The Cattle Business Weekly, based in Philip, S.D., provides beef cattle industry news, market reports, and event coverage for South Dakota and the surrounding region. Founded 12 years ago, “By Cattlemen, For Cattlemen,” the weekly newspaper and annual Cattle Business Herd Reference Guide quickly became a trusted source of information in many farm/ranch homes and agribusinesses. In addition to the weekly paper, we publish South Dakota Angus News, Charolais Country, & Range & Pasture Journal. We also provide ring service and produce sale catalogs and other promotional materials for customers. 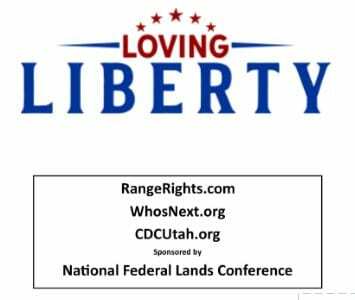 Loving Liberty & The National Federal Lands Conference have been established to support the bedrock principles of private property rights, free markets, individual liberty, limited government, federalism, and religious freedom upon which the United States of America was founded. 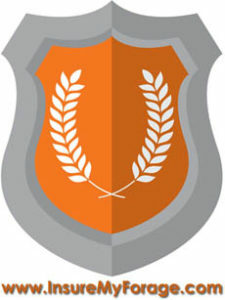 These principles can best be promoted by (1) supporting all enterprises or undertakings organized for the purpose of fostering these ideals, (2) teaching and promoting the ideals established by our founding fathers in the Constitution of the United States, and (3) providing a rallying point for all organizations and individuals who are dedicated to the preservation of freedom. While not exclusive, the primary focus of the National Federal Lands Conference is to provide funding and support for the publication and dissemination of materials that support the principles described above. Special focus should be given to educating our youth, the future guardians of the liberties of our country, in the science of proper government in the tradition of our founding fathers. The history of Lucas Oil is the story of the American Dream. Born into a small farming community in rural Indiana, Forrest Lucas and his three sisters experienced great hardship trying to make ends meet. At age 13, Forrest began showing registered cattle for a breeder and eventually left home at age 15, to work on cattle ranches to help support his family. His early experiences working on cattle ranches cultivated in him the work ethic and ambition that fueled him in his rise to success in business in his later years. In 1964, Lucas purchased his first semi-truck at the age of 21. He acquired more trucks and grew his trucking business throughout the 1970’s. Needing to keep his trucks maintained and operational, he began experimenting with his own additives and lubricants. When he discovered the secret ingredient to his Heavy-Duty Oil Stabilizer, which would become the first of his stable of problem solving products and additives, sales to fellow truckers took off. Today, Lucas Oil sells nearly 300 products worldwide. 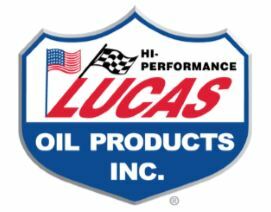 Since its inception, in 1989, Lucas Oil has remained true to its objective of producing quality American made products for a large variety of uses, including agricultural and industrial. 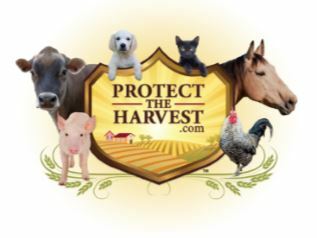 Protect The Harvest is a non-profit organization that was founded by Forrest and Charlotte Lucas owners of Lucas Oil Products. Having worked closely with farmers and ranchers throughout his life, and as a Cattleman, Lucas understands firsthand the practices used to ensure productivity and quality. These practices have led to the general prosperity and choices enjoyed by today’s consumers, making food accessible and affordable for families. Unfortunately, in the last number of years, animal rights and environmental extremist groups have influenced our government and legal system. These groups are threatening agriculture, animal ownership, and land and water use – our very way of life. The Lucas’ could not ignore the alarming need for intervention and in 2011, he founded Protect The Harvest. Protect The Harvest works to educate and inform about threats to farming and ranching, land use, and animal ownership. With the success of Lucas Oil, Lucas decided to fulfill a lifelong dream of breeding and raising his own cattle. In 2002, Forrest and his wife Charlotte purchased land in Cross Timbers, Missouri. Together they founded Lucas Cattle Company and began breeding Simmental and Simangus cattle. 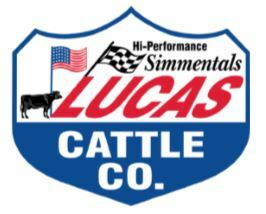 Lucas Cattle Company strives to breed cattle that offers structural soundness and other necessary assets such as udder quality, fertility, calving ease, longevity, growth, docility, and carcass traits. With a strict culling strategy, they have been able to breed some of the finest, high performing Simmental genetics America has to offer. We are proud to be a part of the R-Calf convention and are honored that Dave Duquette, Strategic Planner for Protect The Harvest, will be the Keynote Speaker. Please support Protect The Harvest in our efforts to protect our way of life, heritage and traditions. Together, we have a strong voice. Ft. Pierre Livestock Auction Inc. Cattle sale every Friday. Special Cow Sales in Fall and Winter on Saturday. Other special sales as advertised. Thank you for your business throughout the year. We sincerely appreciate it. We are always glad to come out and look at your cattle and give you an estimate. Don’t hesitate to call collect. Checkout our website at www.ftpierrelivestock.com. Scours and acidosis are two of the biggest problems that modern cattlemen face – CattlActive works naturally to help reverse the ravages of these conditions. CattlActive focuses on restoring and maintaining ruminal health. Backed by science, clinical field trials and studies, it is proven to balance the pH of the rumen and help improve gains. 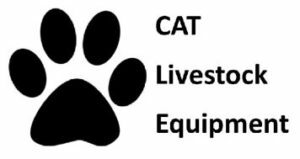 CattlActive improves digestion, neutralizes acid, and encourages feed and water consumption for stronger, more robust cattle. Call us at 1-800-254-0179 or Visit us at www.proearthanimalhealth.com/r-calf/ to save 10% and learn more. The Callicrate Bander has earned a reputation as the most humane and effective bloodless castration method on the market, recommended by veterinarians, animal handling specialists and cattle producers. Learn more at www.CallicrateBanders.com. Ranch Foods Direct was started by rancher Mike Callicrate in 2000 to connect customers more directly to the source of their food with a pasture-to-plate marketing model. The beautiful retail store at 1228 E. Fillmore in Colorado Springs now carries an extensive selection of meats, dairy products and fresh produce as well as prepared items like locally roasted coffee, artisan bread, soup and condiments. For over 125 years, our mission has remained unchanged, “to promote and protect the South Dakota livestock industry”. SD Stockgrowers Association works to promote the independent livestock producers of South Dakota. Everything we do relates to the ability to preserve the viability of our ranches and rural communities whether it be through proper legislation, property tax reform, school funding, or stewardship and land management. The South Dakota Stockgrowers Association is proud to be R-CALF’s largest state affiliate. 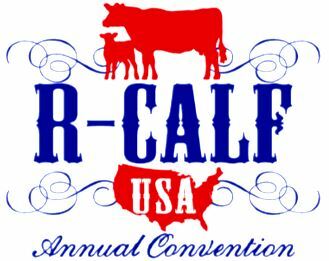 We urge our members to support the great work of R-CALF USA and we invite R-CALF members to join our association. For more information, call us at 605-342-0429, find us on Facebook, on the web at www.southdakotastockgrowers.org or stop by our office in downtown Rapid City. 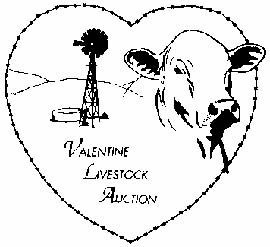 Valentine Livestock Auction is your source for feeder cattle & replacement stock from ranches in the Sandhills of Nebraska. We are open the year around, regular feeder cattle sales are held every Thursday in season, with special weigh-up cow sales on Mondays, as needed. Listen to KVSH “940” Thurs at 3:00 P.M. for live broadcast. Watch live video broadcast of special sales on www.cattleusa.com. 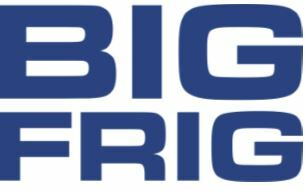 Big Frig, an outdoor company based in South Dakota, was founded after Brock Hutchinson recognized a need in the marketplace for a first-rate, affordable vacuum-sealed tumbler and rotomolded coolers. Although competitors offered lower cost coolers, their products unfortunately lacked in quality and features that appealed to loyal cooler consumers. Therefore, Hutchinson set out to design products that would perform as well as (if not better than) big names in the market—without the price tag. At Big Frig, we believe in treating our customers like family and that family comes first. We believe in answering the phone and going the extra mile. We believe that our customers deserve a quality product for their money and a company that will stand behind it. Our products are designed and tested to withstand the toughest conditions of the Midwest and provide high performance in every environment imaginable. Hutchinson says that he and his team believe that their clients deserve nothing less. Big Frig’s products are not just tumblers or coolers, but instead a reflection of a way of life. Insure My Forage are the specialist with the Federal Crop Insurance program for pasture and forage. The PRF Program (Pasture, Rangeland, and Forage) has paid out over 1.2 BILLION dollars to American Farmers and Ranchers. Swing by our booth, and we can give you the last 10 year payout history for your county and help with the enrollment process. The PRF program is a federally subsidized crop insurance program authorized by the USDA. The PRF Program pays you indemnity when the rainfall is less then 90% of normal in any selected 2 month period. Visit www.insuremyforage.com for an educational video or to request more information. The enrollment period is Sept 1 to Nov 15th. 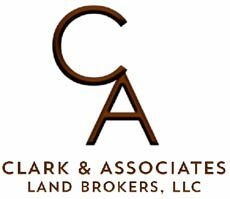 Clark Land Brokers. Buying and selling farm & ranch properties requires special knowledge and skill including: livestock and farm production, land values, leases, real estate laws, water rights, management, and most importantly, an intimate knowledge of the area. Our marketing approach addresses all these details. And, after the sale, we’re there to help manage the property if you so desire. Each partner in our firm started out from hard working ranch roots, “living the life” of ranchers, which has allowed each of them to develop a true insider’s point of view and knowledge of the land. It is the ability to combine their “insider” knowledge, business experience, and ability to converse with both the business executive and the local rancher that is the focal point of their business. 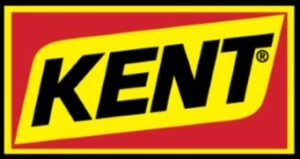 Kent is a leading source of nutrition products and services for commercial livestock, lifestyle animals, and pets. It’s all we do. And more than simply recognizing the unique relationship our customers have with their animals – we share it. KYDT-FM / KBFS-AM “The Country Twins”. 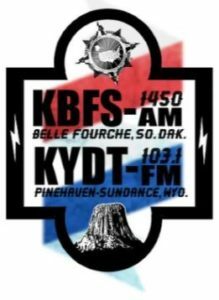 KBFS 1450 AM has been broadcasting out of Belle Fourche since 1959 as a 1,000 Watt AM station with a loyal farm, ranch, and sports following! KYDT 103.1 FM went on the air in 1997, and the tower is located on top of Warren Peak in Sundance, Wyoming. KYDT simulcasts it’s programming with KBFS. By doing so, KBFS/KYDT keeps all listeners abreast with the latest news, conservative talk radio, agricultural markets, and much more! Natures Formula Livestock Probiotic Products, Organic Fertilizer, Hair, Skin ,Wound Care. We offer good quality products and good customer service! WE ARE A FAMILY OWNED AND OPERATING COMPANY. Natures Formula Livestock Probiotic Products, Organic Fertilizer, Hair, Skin, Wound Care. We offer good quality products and good customer service! WE ARE A FAMILY OWNED AND OPERATING COMPANY.